Want a home-grown solution to your CBD problems? Medterra has got you covered! Since I pay close attention to the source of the hemp, the fact that Medterra takes so much care in raising the hemp in US farms speaks volumes about their commitment. and certainly works as a reassurance that I can trust the brand. So, in this Medterra review, I’m going to tell you about my experience to make you a better customer. Like always, I’d like to remind you that the opinions expressed here are mine alone and I take no responsibility if your experience differs. After all, this is CBD that we are talking about. So, let’s dive right in to know more about the company before I go in depth about each of their products. The company made a stellar first impression through their beautifully designed website. While it takes more than looks to have me sold, I must say that I was excited to know more. The About Us section on their website contains details about how the company cares about giving customers the best CBD experience. They especially focus on the fact that they use only Kentucky grown hemp, and that too after stringent third-party tests. How much is this true? I honestly don’t know. I certainly would have liked to see some proof for the claims. They recently showed me the proof, so I can attest to it that it’s true. The company also mentions that they have a team of experts researching on industrial hemp and hopes to eradicate the stigma that is associated with cannabis. Being natural promoters of hemp and hemp derivatives, Medterra wishes to spread the word about the miraculous health benefits of this compound. Hmm…not bad right? Well, after reading so much self-praise there was only one thing left for me to do – try out a product and find out the truth myself. So, I went ahead and ordered my first bottle of Medterra’s CBD oil. 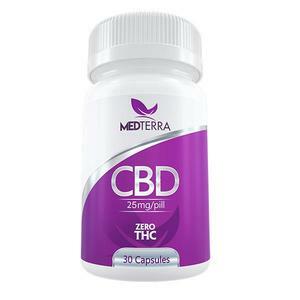 Keep on reading to find out more about Medterra CBD Oil Review. Yup! Tinctures are always the first thing I try when reviewing a new brand because CBD oil sets the stage for my overall impression. First thing’s first: the company gives you three choices of strength – 500 MG, 1000 MG, and 3000 MG. I ordered the one with 1000 MG strength to keep things balanced, and the results turned out to be marvelous. There is no defined dosage prescribed by the brand since CBD acts differently on people. However, based on reviews on the product page, the standard seems to be half dropper per session. You can increase the count by 1ml if you feel half dropper is not having the desired effects. Use this like how you’d use any other CBD tincture – by administering a drop of liquid under your tongue and holding it for 2 to 5 minutes till it gets absorbed. To prepare for this review, I started out clean by stopping all the ongoing dosages of the previous CBD oil. 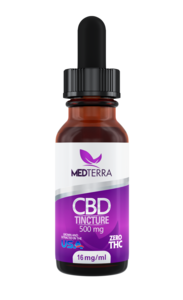 Naturally, after two weeks, my anxiety and joint pain started coming alive, making it the right time to try out MEDOIL CBD tinctures. Within only the first few days, I felt my back pain to be a lot less than usual. After a week, it was gone! Praise heavens for that. In the meantime, I also noticed this CBD oil has a calming effect on my mind. I usually spend some quiet time alone to prepare for the sleep at night, but after trying this product, I didn’t feel the need to. I played with my kids long into the night and fell asleep with no difficulty. This product also kept my anxiety in check, making me Happy Aaron once again. I can’t promise if your experience will be similar, but it doesn’t hurt to try, does it? If you have never taken CBD before, I recommend beginning with the 500 MG strength; for experienced CBD users, 1000 MG will be a good starting point. After being thoroughly impressed with the tinctures, it seemed only natural to experiment with something a little less powerful. 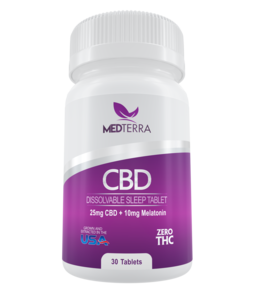 Something that could alter my sleeping patterns while keeping CBD intake at the lowest level. If you have difficulty falling asleep or are suffering from insomnia, then this is worth a try. These dissolvable pills have an incredibly delicious spearmint flavor, of which I’ve become a fan. Dosage is as simple as it gets – take one tablet daily before going to sleep and hold it under your tongue for as long as it takes to dissolve. Within 10 to 15 minutes you should feel the effects starting to kick in. I started taking these capsules after going off the tinctures, which was probably not the best idea. While these pills did make me fall asleep faster, they certainly didn’t seem to have much effect on joint pain and anxiety. It would honestly be wrong to expect such from a product that has “Dissolvable Sleep Tablets” in its name. Those who wish to try it out, I recommend you check out the tinctures first because that seems to be an all-in-one solution. If your problem is only with sleep, then go ahead and purchase this by all means. Your problems are unique, and I’m sure this product will help you one way or another. MEDOIL Dissolvable Sleep Tablets works wonders for sleep thanks to the 25 MG: 10 MG ratio for CBD and melatonin. I wouldn’t, however, count on this to overpower anxiety and pain symptoms in the process of making you fall asleep. Now, these are the capsules that match up to CBD tinctures. Or instead, we can say that this is another alternative to the CBD oil. Who is this for? Obviously, people who don’t see the point of using tinctures and would much rather pop a pill. Does it work? Hell yeah, it does! These make treating anxiety and back pain so much easier. Take one capsule in the morning or night for quick relief. These gel capsules, however, are not like dissolvable sleeping pills. You have to gulp these down with water. Exactly how I expected! These gel capsules have been made for people who don’t want to try sublinguals but want the same effects. People who are on the move more often than not will also be tremendously helped by the CBD capsules. I don’t get to travel often, so I made use of these at home to see how they work. Thankfully, the calming effects came sooner than expected, followed by numbing of back pain. It didn’t take many doses for the pills to work on my anxiety as well. I used to take one of these before heading over to the office, and by the time I got there, the pills would have me ready to brave the day. Saying this would be more of the same thing – CBD capsules are a perfectly viable alternative to CBD tinctures. And quite honestly, I don’t see any reason for anyone not to try it unless of course, you hate capsules for whatever reason. I give it a Thumbs Up! I have never been a fan of topicals because most of what I’ve used so far turned out to be hogwash. Sure, they might work on a strain or sprain – but full-fledged backpain? Not a chance! Of course, I have used creams from quite a few brands that stuck by their promises, but none have impressed me as much as this cream by Medterra. I am not exaggerating one bit! Keep on reading to find out why. Just like you would use any other topical, how else? Just remember to rub it in with some force so that your muscles get a bit stimulated. Scoop up enough using two fingers to cover the area of your body that is in pain. Like I said – fantastic! Way better than 99% of creams made by other brands I have used so far. My wife echoes this sentiment because she only insists on using creams, not tinctures or CBD capsules. It felt liberating to know that I have a backup if I ever take a break from using capsules or CBD oil. This stuff really mellowed down my back pain from the very first application and didn’t even allow it to come back for the entire time I used. And you don’t even need to scoop a whole lot of cream for this, so one bottle should last you a while. 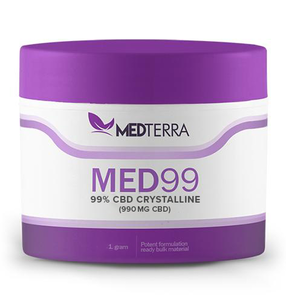 Medterra CBD Pain Cream is a remarkable discovery that I’m more than glad to have made. I would urge you to try it out as well, with reasonable expectations of course. This is a 99% Pure CBD Crystalline isolate designed to give you an entirely unadulterated CBD experience. Because these are supposed to be the most powerful punch of Cannabidiol you can get, I’d highly recommend starting off with low doses and increase by small amounts if you don’t feel any effects. Mix this powdered crystalline form of CBD with your favorite food or drink. Or just take it raw. The choice is yours! It was good. I’m not really much fond of using isolates, but I do what I have to for the sake of reviews. It acted on my anxiety and joint pain almost the same way as the capsules and CBD oil. Only the fun factor was missing. But then again, I guess that’s just isolates for you. Buy this if you want something fast acting. Otherwise, stick to meds and oils. It is also Voted the best isolate CBD oil. These products are available on Medterra’s official website: medterracbd.com and they deliver in all 50 states of the US. You will get free shipping on orders over $ 125 – isn’t that great? Overall, I’d say the brand has a lot of potential to go big in the industry (and I sincerely hope that they do). 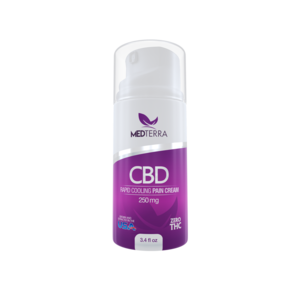 Hope you enjoyed reading my Medterra CBD Review, now go ahead and try for yourself.